The practice of manually cleaning excrement from private and public dry toilets and open drains persists in several parts of South Asia. Across much of India, consistent with centuries-old feudal and caste-based custom, women from communities that traditionally worked as “manual scavengers,” still collect human waste on a daily basis, load it into cane baskets or metal troughs, and carry it away on their heads for disposal at the outskirts of the settlement. India’s central government since independence in 1947 has adopted legislative and policy efforts to end manual scavenging. In recent years these include commitments to modernize sanitation so there is no further need for manual disposal of feces, and prohibitions on engaging anyone to do this work. However, because these policies are not properly implemented, people remain unaware of their right to refuse this role, and those who do refuse may face intense social pressure, including threats of violence and expulsion from their village, often with the complicity of local government officials. Manual scavengers are usually from caste groups customarily relegated to the bottom of the caste hierarchy and confined to livelihood tasks viewed as deplorable or deemed too menial by higher caste groups. 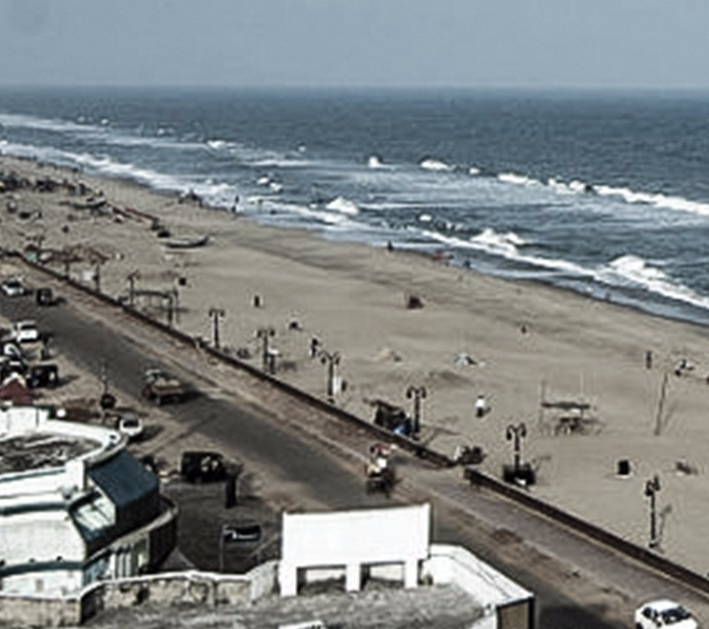 Their caste-designated occupation reinforces the social stigma that they are unclean or “untouchable” and perpetuates widespread discrimination. In Kasela village in Uttar Pradesh state’s Etah district, women from 12 families manually clean toilets with the full knowledge of village authorities. After spending the morning manually removing excrement from the toilets, the women return to the houses they cleaned to collect leftover food as payment. They are given grain donations at the harvest and old clothes at festival times, but receive no cash wages. Munnidevi told Human Rights Watch she stopped going to homes where she was not given any food, but says she returned to work after her employers warned that she would not be able to enter community land to collect firewood or graze her livestock. “I have to go. If I miss a single day, I am threatened,” she said. On September 6, 2013, the Indian Parliament passed The Prohibition of Employment as Manual Scavengers and Their Rehabilitation Act, 2013 (the 2013 Act), committing itself yet again to ending manual scavenging. Seven months later, on March 27, 2014, the Indian Supreme Court held that India’s constitution requires state intervention to end manual scavenging and “rehabilitate” all people engaged in the practice. This meant not only ending the practice but also ending the abuses faced by communities engaged in manual scavenging. The government’s recognition in the 2013 Act of the historically rooted and ongoing injustice faced by communities engaged in manual scavenging is important, but also points to failures in implementing previous laws and policies to address the problem. 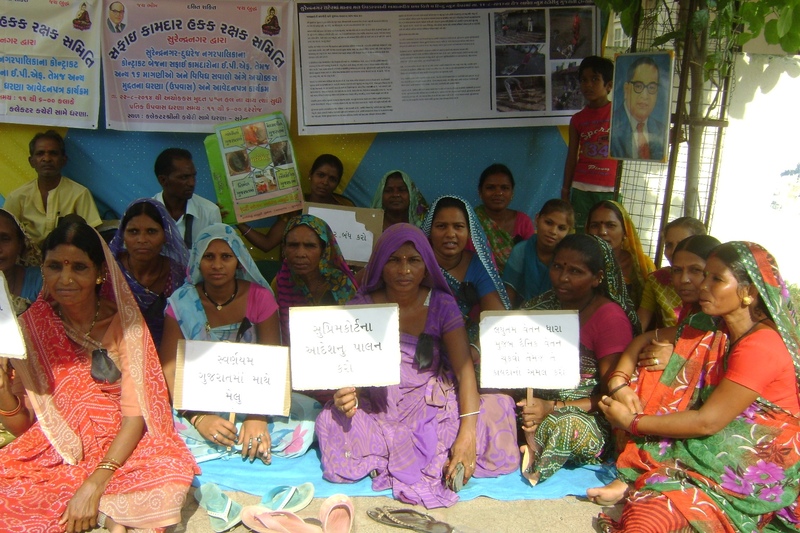 Recent examples from communities engaged in manual scavenging in the states of Gujarat, Madhya Pradesh, Maharashtra, Rajasthan, and Uttar Pradesh highlight the failures of previous government attempts to end manual scavenging and eliminate the entrenched attitudes and discriminatory practices that still bind members of affected communities to this degrading and unnecessary occupation. 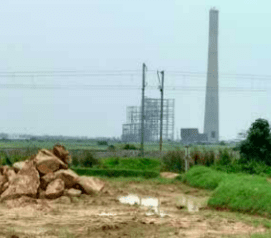 For instance, several women who sought to leave manual scavenging told Human Rights Watch that local authorities failed to intervene when they faced threats from the households they served. As retribution for leaving, they were denied access to community land and resources or threatened with eviction, frequently with the backing of village councils and other officials. While the central government enacts laws, state representatives in panchayats, elected village councils, and municipal corporations too often not only fail to implement prohibitions on manual scavenging by private households, but also perpetuate the practice. In Maharashtra state, for instance, panchayats have recruited people to manually clean toilets and open defecation areas on the basis of their caste, even denying them other jobs for which they are qualified within the panchayat. While panchayats compensate families that clean dry toilets, drains, and open defecation sites with housing and wages, many of those employed told Human Rights Watch that they are denied regular wages and have been warned that they will be evicted from their houses if they refuse manual scavenging work. Such threats have been particularly effective in binding communities to manual scavenging because the affected communities face extreme difficulty in securing police protection. They are especially vulnerable to police refusal to register complaints due to caste bias by police and local government officials. 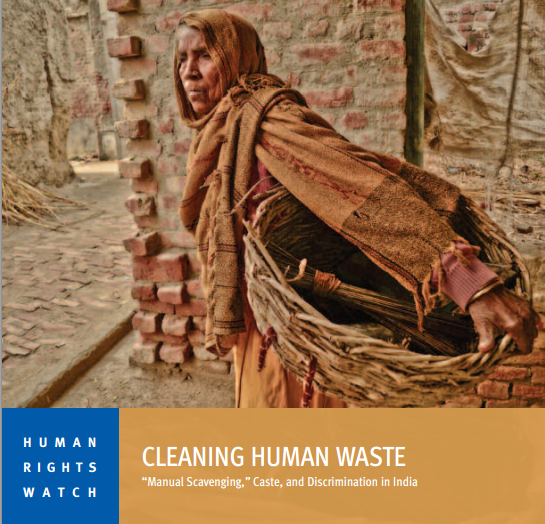 The rights abuses suffered by people who practice manual scavenging are mutually reinforcing. Constantly handling human excreta without protection can have severe health consequences. Those who do the work, however, also typically face untouchability practices. Discrimination that extends to all facets of their lives, including access to education for their children, makes it more likely they will have no choice but to continue to work as manual scavengers. India’s Constitution bans the practice of untouchability, and the Protection of Civil Rights Act, 1955, prohibits compelling anyone to practice manual scavenging. Aimed specifically at ending manual scavenging, The Employment of Manual Scavengers and Construction of Dry Latrines (Prohibition) Act, 1993 (the 1993 Act), declared the employment of manual scavengers and construction of dry toilets to be punishable with fines and imprisonment. Superseding the 1993 Act, the 2013 Act goes beyond prohibitions on dry latrines, and outlaws all manual excrement cleaning of insanitary latrines, open drains, or pits. And, importantly, it recognizes a constitutional obligation to correct the historical injustice and indignity suffered by manual scavenging communities by providing alternate livelihoods and other assistance. 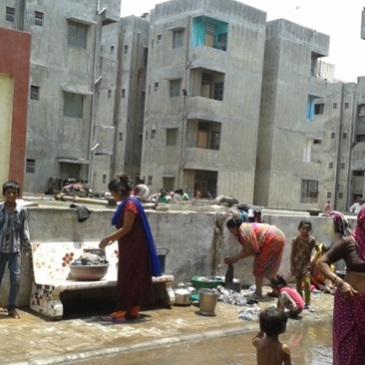 However, women we spoke with who left manual scavenging, even those who had the support of community-based civil society initiatives, reported significant barriers to accessing housing, employment, and support from existing government programs aimed at their rehabilitation. Notably, under the 2013 Act, rehabilitation provisions are left to be implemented under existing central and state government schemes—the same set of programs that, to date, have not succeeded in ending manual scavenging. India’s Supreme Court has ruled that the practice of manual scavenging violates international human rights law, including protections found in the Universal Declaration of Human Rights (UDHR), the International Convention on the Elimination of All Forms of Racial Discrimination (ICERD), and the Convention on the Elimination of All Forms of Discrimination against Women (CEDAW). India is also a party to other international conventions that reinforce obligations to end manual scavenging. 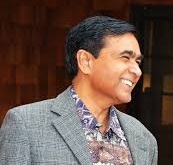 In May 2014, Indians elected a new government. During his campaign, Prime Minister Narendra Modi highlighted the importance of modernizing India’s sanitation system, saying that building toilets was more important than temples. While modernizing India’s sanitation is an important step in ending manual cleaning of excrement by some of India’s most marginalized communities, investment in sanitation alone is far from sufficient to end the social and economic exclusion faced by these communities. The government’s continued inability to provide individuals the support necessary to leave manual scavenging predictably will undermine the renewed government effort to promote modern sanitation. This is especially true if decisive steps are not taken against local officials who themselves employ people to work as manual scavengers, lessening the urgency of modernizing sanitation practices in their localities. As of July 2014, the Indian government has extended the time limit for ending manual scavenging at least eight times. To end manual scavenging practices, the government needs to not only modernize sanitation, but also take proactive measures to ensure that people who leave manual scavenging have prompt access to housing, employment, and essential services, and to hold local officials accountable for implementing all laws addressing manual scavenging and caste discrimination. Identify all individuals currently engaged in manual scavenging and those who have engaged in the practice since it was outlawed under the 1993 Act (so the latter are entitled to benefits under the 2013 Act). Ensure that rehabilitation entitlements under the 2013 Act—including financial assistance, scholarships, housing, alternative livelihood support, and other important legal and programmatic assistance—are available to manual scavenging communities. Take immediate steps to ensure that officials effectively intervene to stop communities from being coerced to practice manual scavenging, including when members of such communities face threats and intimidation for attempting to leave manual scavenging. The steps should include holding officials accountable for properly enforcing relevant laws, including the 2013 Act and the Scheduled Castes and Scheduled Tribes (Prevention of Atrocities) Act, 1989. Strictly enforce the law against local government officials who themselves employ people to work as manual scavenging. Enact The Scheduled Castes and Scheduled Tribes (Prevention of Atrocities) Amendment Ordinance, 2014, No. 1 of 2014.